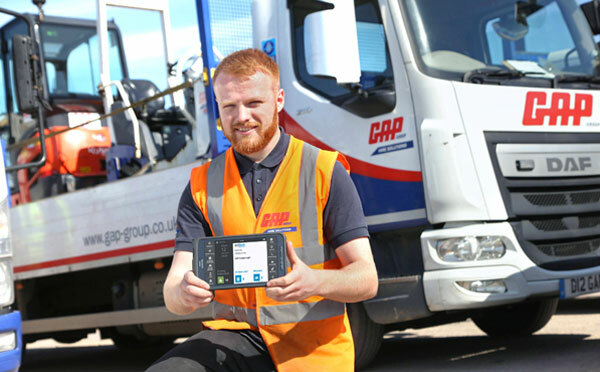 Leeds, 04 September 2018 – GAP Hire Solutions has equipped 400 of its drivers with tablets as the first part of the roll out of a 5-in-1 management solution from BigChange. Called JobWatch, the cloud-based system incorporates a range of mobile apps with live tracking and job scheduling. It also links in real time to GAP’s back office systems, such as their central hiredesk, CRM and financial system.